Your source for circuit breakers, switches,transformers,bus plugs,motor controls and related equipment. From day one, we have been providing exceptional customer service to meet or exceed our customer's needs. Providing quality and value are the reasons our customers keep coming back. Knowledgeable staff with 30 years of experience at your service to provide you with efficient fast and reliable sales service. We are commited to provide you with the best service,quality and excellent prices. 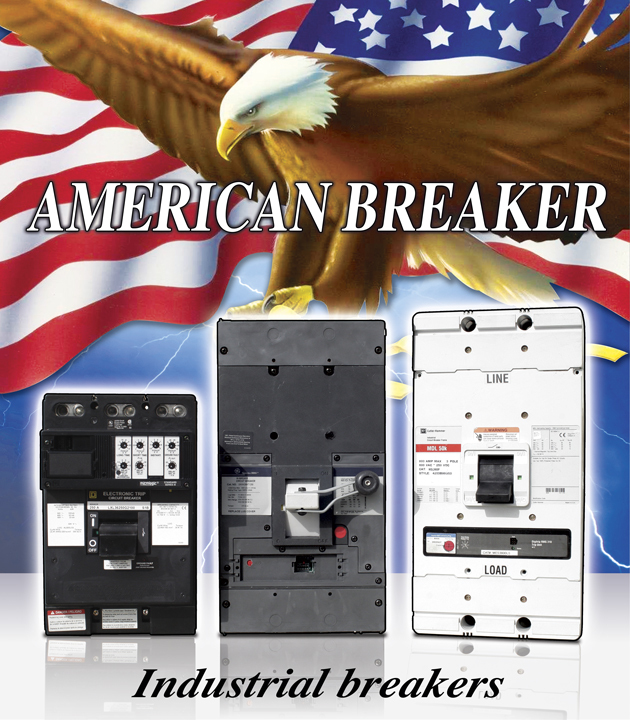 At American Breakers our customers are our # 1 priority. Thank you for stopping by and we hope to hear from you soon. Terms and warranty conditions available upon request. We carry the top brand names in the industry,including :Westinghouse,G.E, CutlerHammer,Square D, ITE, Murray,Siemens,Zinsco and most major manufacturers.We offer 2 to 5 day shipping on hard to find items and a 2 year warranty on all our breakers and other equipment. Copyright AMERICAN BREAKERS. All rights reserved.